Yes, you are seeing this correctly. There’s a blog posting from me. No need to double-blink in disbelief. I am still alive and well. I don’t always get much of a chance to write here because I’m busy! One of these days, I’ll try to catch up with what’s going on with me, but in summary, I’m busy teaching a technical editing class at NJIT, working a part-time gig for BASF, working a “freelance contract” with a pharmaceutical company as a digital content strategist, and working my tail off for the STC-Philadelphia Metro Chapter as president, conference chair, sponsorship chair, and competition chair. Not a lot of time to come up for air these days! But as I do have a short moment right now to put these thoughts down, I thought I’d start this conversation, because it is a frequent topic that comes up again and again in all the things I’m working on these days. 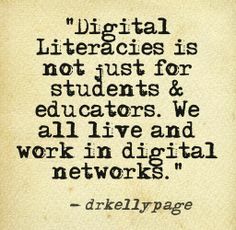 Where are the boundary lines what constitutes digital literacy? Just like a person needing to know how to read and write, we live in an age where almost everything is done digitally these days. You can’t do a lot of what you used to be able to do on paper or manually. You call a toll-free helpline, and you are most likely to get an automated chatbot responding to you before you can even get to a real person. Credit cards use chips increasingly more than the magnetic strips, or even use Apple Pay, Samsung Pay, or the like. To get help for anything, most people go online to find answers through browser searches. So where’s the line of what’s considered digitally literate and digitally illiterate? I bring this up because I often get into discussions about what is acceptable and user-friendly UX, and what’s not. I usually follow the tech comm mantra of “know your audience”, so many of the audiences I have to deal with aren’t necessarily the most digitally savvy bunch. I’ll argue to include something to make interactivity with the site more apparent, whereas others will argue that it’s not necessary. I also wonder about people who still can’t figure things out like social media, or GMail or Google Drive, or things like that. These have been around for a decade–or more! There are other apps and sites that have also been around for a long time, and people still have no clue how to begin to use them (and it’s more disturbing to me when it’s someone who has to either work with digital on a daily basis, write for digital, or is teaching digital). Now, some may argue that it’s a generational thing, but I don’t agree. I know people who are my parents’ age (into their 70s) who have a better clue than I do about how to use digital, and are very good at it. And then I know people younger than me who have no idea how to use word processing or a simple spreadsheet. It runs the gamut. Digital has been a part of society for at least the last 30 years, and there isn’t anybody who isn’t touched by it these days. Those who don’t adapt fall behind. Digital is pretty much everywhere, and it’s even easier to use now than it was in the decades before. Case in point: I recently had to go for my yearly eye exam. My optometrist is still scheduling in a paper book, does her bookkeeping in a paper book (the receptionist writes out receipts rather than prints them out), and most of the records are still done solely on paper. Additionally, they don’t have an up-to-date database or access to one to look up insurance information. I was told that I didn’t have certain kind of coverage, but when the place that I got my glasses (a different place than my doctor) looked the information up, I did have the coverage. Why? They could access the information online more easily. While it seems old-fashioned, my doctor is actually severely behind the times, and she’s going to have issues keeping up with more modern practices soon enough. She complains that there’s no software that meets her needs, but she doesn’t know that no software will meet ALL of her needs, and she needs to work with a vendor to customize things as much as possible so that it WILL meet her needs. I also had to deal with someone for whom I had help them sign onto Google Drive and Gmail. I’ve told this person many times how to do it–in writing, no less–and they still can’t figure it out. I don’t think it’s my instructions, as others have used the same instructions without any issues. I think part of it is a conscientious mental block that person puts up, because they don’t want to learn. As a society, we put great emphasis on the basics of learning how to read and write. Same thing for understanding the basics of mathematics. So what’s the functional literacy level for using digital? I will grant you that understanding how to use digital has evolved over time. But there’s a point where, even as technical writers, we need to be promoting better ways to be literate. For example, if you are on a webpage, and you see text that’s in a different color or especially if it’s underlined, wouldn’t that tell you that it’s a hyperlink, and it’s going to take you somewhere else or open another window? Then why do we still have text like, “Click here to view the video” instead of “View the video”–or better yet, if the title of the video is mentioned in the sentence, just hyperlink the video title? This is especially true when it comes to writing for mobile, as you can’t “click” on something, just as you can’t “tap” on a desktop/laptop interface unless you have a touch screen. This is an example of something that’s incredibly basic, yet there are those who still don’t get it. So how do we define the parameters of being digitally literate versus being digitally illiterate in this day and age? I know I have my own ideas, but I would like to hear yours. How would you define these parameters? Include your comments below. This entry was posted in Uncategorized and tagged content strategy, digital literacy, e-learning, education, edupunk, elearning, higher ed, higher education, instructional design, instructional design and technology, Learning, m-learning, mobile learning, social media, STC, tech comm, TechCommGeekMom, Technical communication, technical communications, technical writing, UX. Bookmark the permalink. 1 Response to How do we determine the bounds of digital literacy? To a large extent, the definition of digital literacy depends on the line of work you’re in. I’d say that your optometrist is appallingly out of date, what with the need to keep accurate patient records, file insurance claims, and so forth. Does she still make you look at a printed eye chart on the wall? 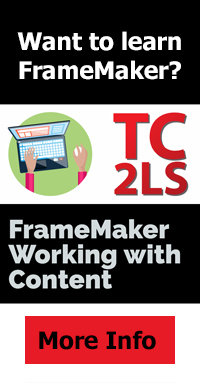 For others, especially those in the blue-collar professions, I have no expectation that they know about cascading style sheets or styles in Word. Even then, I guess I’d still wonder how they do tasks like buying plane tickets without knowing basic website navigation. In general I’m not too hard on people for being “digitally illiterate” because (a) it’s often their choice, similar to not owning a car, and (b) usually, the only people they’re hurting are themselves. P.S. It’s great to see that you’re back on the blog!